Patents are presented both by application and priority date. 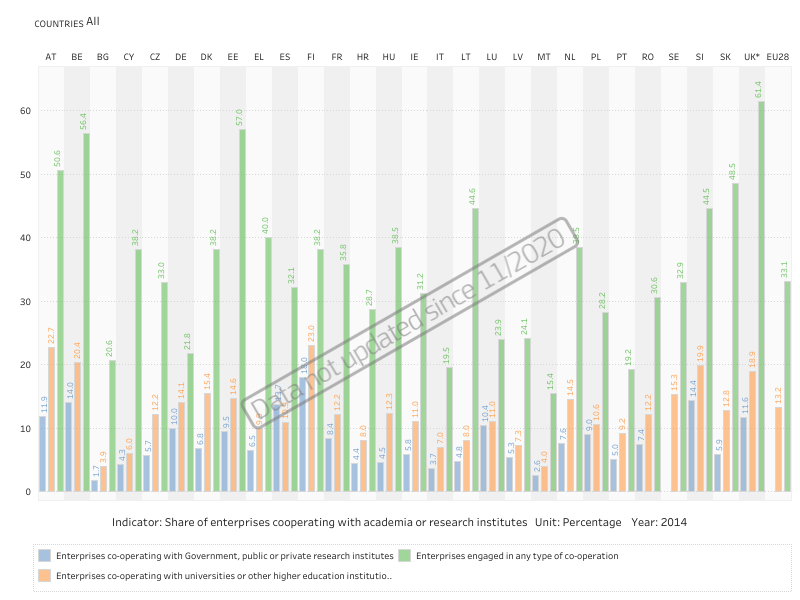 R&D investments of the public sector (GOV + HES) financed by business enterprises (BES). Created by filtering the original Eurostat dataset. 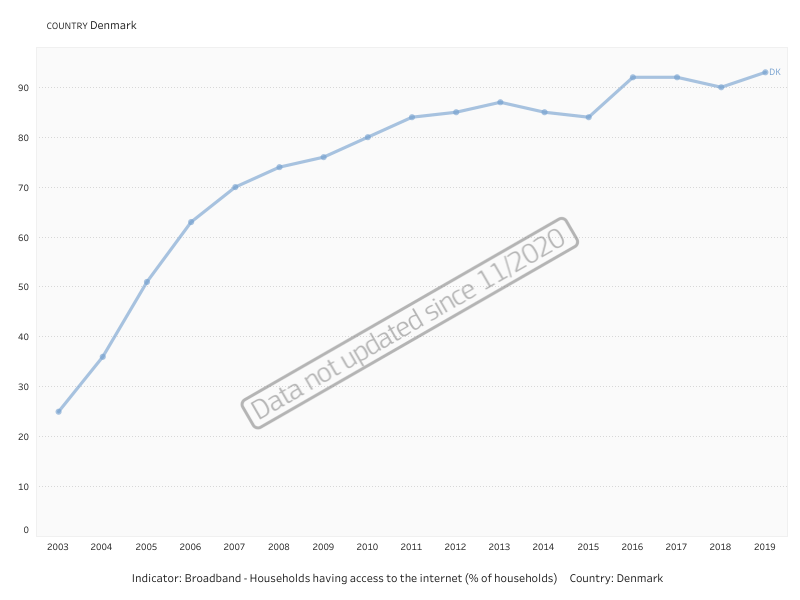 Households having access to broadband internet. Created by filtering the original Eurostat dataset. 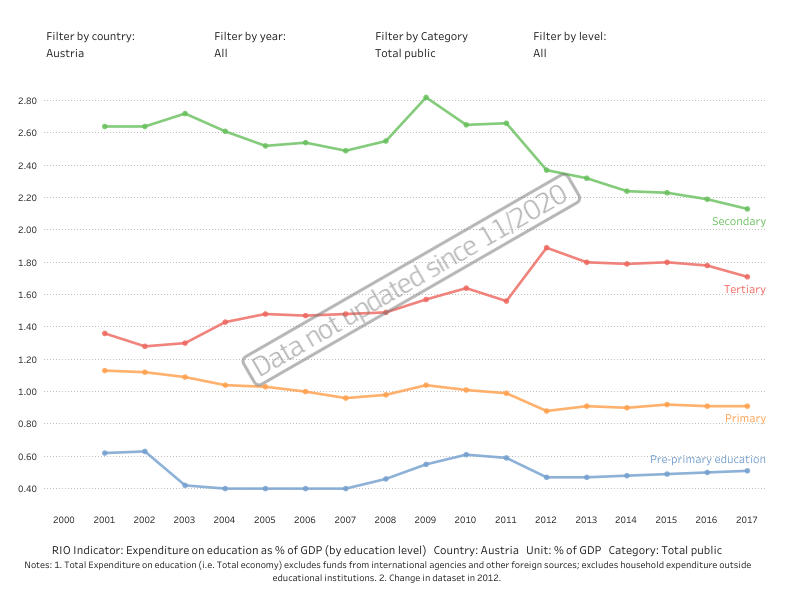 The indicator excludes funds from international agencies and other foreign sources; it also excludes household expenditure outside educational institutions. 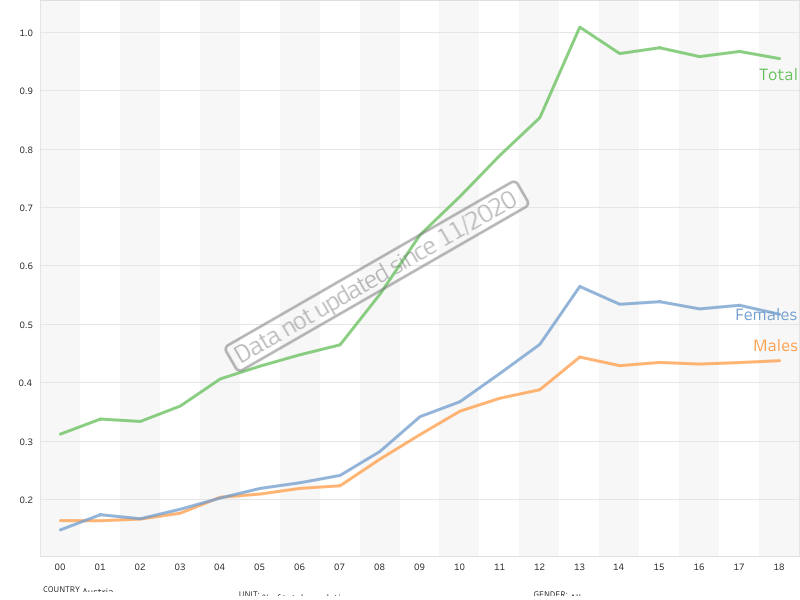 Change in the classification system in 2013. The official concordance has been applied. Total number of graduates in ISCED 5 and 6. Created by filtering the original Eurostat dataset. 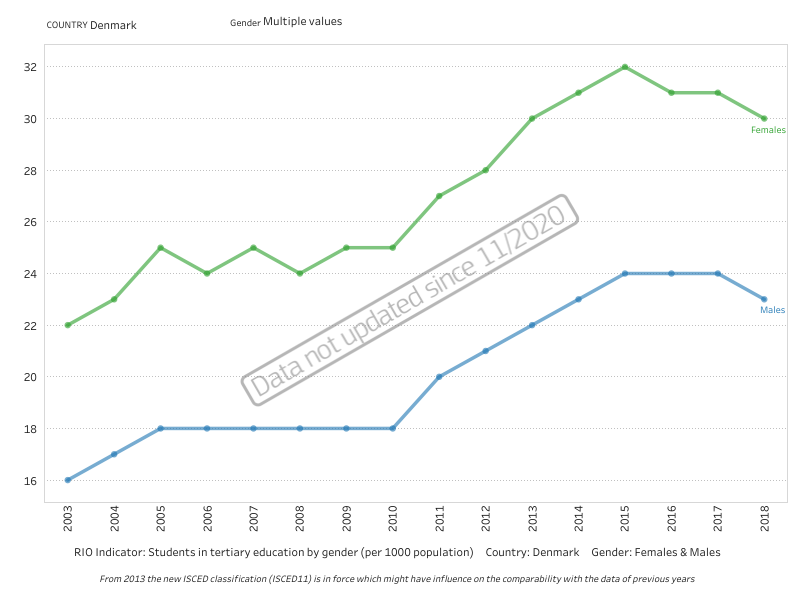 Both male and female students in tertiary education (ISCED97: ED5-6) and their respective shares. The number of students is expressed as a share of the population. Created by filtering the original Eurostat dataset. Percentage of the population aged 30-34 who have successfully completed tertiary studies (university, higher technical institution, etc.). Gender breakdown is included.